In stock 141 items in stock. What do you mean "metric or standard?" Where I come from metric is standard. I'm envious haha I recently started an engineering job after college and I miss metric. In America, Imperial (inches and feet) is standard, that's all. Warning! These are NOT CE like they are marked! Great calipers though, I don't care that its chinese export, it does the job and does it cheap. Since you guys opened it up, it might be a good idea to show how does the serial interface work on them. The serial port is located on top of the plastic case in the 4th picture. I know that these could communicate with a serial interface reporting back the position. This might be handy for projects which require precision measurements with cheap options. It's not really serial. We've played around with it a bit and I might write some tutorial down the road. Just wanted to point out that the datasheet says 0.0005" resolution but they are only 0.001" resolution, other than that you cant beat it for the price. I received these calipers today, and they seem like they're catching ever so slightly...almost like there's rust or corrosion on the caliper bar...can I use WD40 or something to clean / lubricate them without damaging them? If you are just simply adding WD40 so the calipers slide smoother, it should be alright. I just got a set of these... Either they have a defect or I'm using them improperly. Whenever I try to open them up at a rate of more than, say, 1mm/sec, the reading suddenly jumps a couple of mm/inches (tried it on both, same problem). I also swapped out the battery in the calipers for the extra one provided; no change. Am I supposed to clean them or something? Can they not be opened quickly? Or do I just have a defective pair? 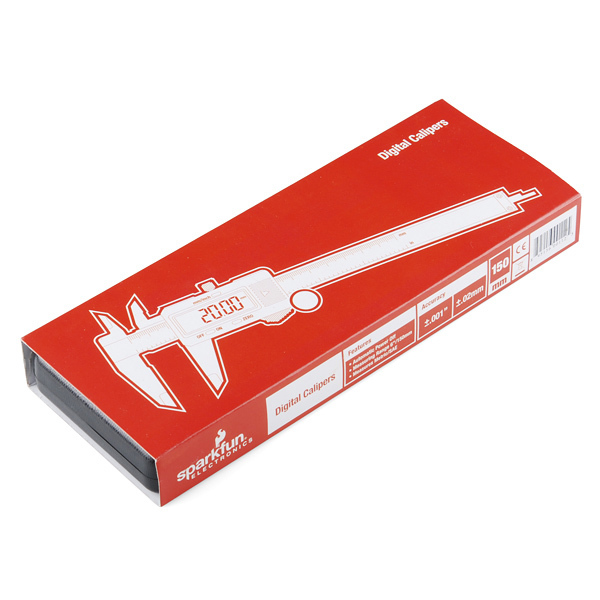 My calipers go with the flow and do not become inaccurate after quickly opening them. If anyone has issues like this, E-mail tech support(techsupport@sparkfun.com). I have the (expensive) Mitutoyo version of these. They're several years old now, and still on the original battery. Not sure if I'll make up the price difference in replacement batteries, though. It was very interesting seeing the digital calipers taken apart. Thanks for sharing this. Edit : be sure it's not about protesting, but just blinking our LEDs across frontiers. Just to know what to bring up with cash so. Cheers, The "frenchy nuts breaker"
He's trying to say what's the point of having Sparkfun when you can buy these exact same caliper for cheaper on ebay (I bought mine for $10 USD, looks like he got his for $7, but that was 2 years ago). He's also saying that Sparkfun and Adafruit are already making a lot of money, yet they still want to double in revenue (where do they get that revenue? Well from increasing price of course!). His line about "boys who come to you with the idea they can trust on you" means a lot of the hobbyist come thinking these guys are trustworthy (e.g. offering the best product for the best price) yet what they really do is just resell you Chinese products for a higher price. Not saying Chinese products are not good (I'm Chinese btw), but because they were made cheap, and Sparkfun bought them cheap, they should at least sell it to us for a more reasonable price (If I can buy mine for $10, and they're selling for $15 that's 50% increase in price, and they probably buy for less than $10 per caliper since they buy in bulks). I have no idea what he said about linux and the last couple of lines. I'm only translating because in part I agree with him (and because I'm Chinese so understand the poster's Chinglish ;D). But then again that's what all resellers do, and I think Sparkfun and Adafruit are here for children and hobbyist who doesn't have all that time to try to find all these products on ebay and dealing with 4 week+ wait for shipping. Also you'll never get scammed by Sparkfun or Adafruit (e.g. products not being delivered) whereas on ebay you can, and then have to deal with a bunch of crap to try to get your money back. Occasionally, Sparkfun does sell stuff for cheaper than you can find on ebay (e.g. Actobotic Skate Wheels) or at least if they're the same price as competitors (e.g. Actobotic products), at least Sparkfun gives you free shipping whereas others (e.g. Robotshop, ServoCity) does not. Just got mine, I can't really test them for accuracy (don't have a precision block yet), but they seem pretty consistent. Also slightly more substantial than I expected, particularly given the price. These look like great tools, especially for the price. My only question is, how accurate are they? Are they actually accurate to that second decimal place, even in millimeters? 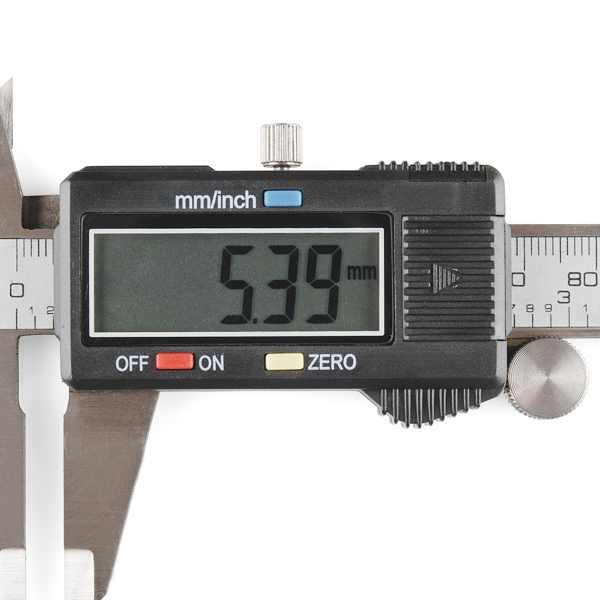 I checked the accuracy of calipers using Mitutoyo gauge blocks with widths ranging from 0.0625 to 2.000 inches and found that they are accurate within +/- 0.001". I don't know about these ones, but the Mitutoyo calipers I use at work are about 15 times more expensive, and their rated accuracy is +/- 0.01in. For the money it's pretty good and repeatability was better than I expected. But that's about the only good thing I can say about them. The slide action is incredibly rough and makes a horrible grinding noise that makes you wish you feel like you're getting a root canal. If you really need calipers, get these, they're more accurate than using a potato, but if you just want a pair, save up for a better set. I just got a 3d printer and got these to measure parts. They work as expected. No problems using them. Out of the box, it didn't work. The reading was jumping all over the place, and eventually, I couldn't turn it off anymore (pressing the ON/OFF button didn't turn the calipers off). But you can't really complain for $10. Sparkfun made it right though, so A+ to them. These are not good, spend more. I bought this a while back. From the very beginning, it was pretty much worthless. You zero it out, and then as soon as you move the sliding bar, the zero point begins to fluctuate wildly. I've never been able to get the same measurement twice for any target. Had it put away in a cabinet; but, ever the optimist, I pulled it out again today and found that, yes, it's still all over the place. I really don't think you should be selling this product at all. It's really a shoddy piece of engineering; not worthy of the SparkFun line of products. At this price, I suspect that most buyers, like myself, are inclined to write the purchase off rather than taking the time to request a refund or replacement. Sorry that 1 star is the lowest rating I can give it. After seeing the response to my post from SparkFun's Single T, I do regret that I did not take the time to pursue the matter through Customer Support. After several frustrating attempts to make the device work correctly, I, like many others, simply reasoned "what should one expect for 15 bucks?". I will await reception of the replacement before making any further judgments on the usability of the device. But I should not have forgotten that SparkFun is one of the most reliable and supportive sources of products, ideas, and support that I've ever experienced in years of building embedded devices. And your offer to supply a replacement, even long after my purchase, speaks volumes about the level of attention that SparkFun gives to its product line and its customers. Thanks again to SparkFun for the critical support you've provided to my efforts. Hi, I have hand tested a replacement and will be sending that off to you. I'm sorry that your device didn't work as it should. We're a simple email away from assisting you. I wish you contacted us sooner. Thanks. It's a very good calliper, it seems robust and frendly. It would be better if the battery's cover comes with an screw or security system for prevent open battery's tape unintentionally , but it's a great Calliper, Really Really Great Calliper.. Pretty accurate for $15! The metalwork is a little rough, but I expected that. One thing to watch out for is the auto-off feature and the on/off button don't actually turn it "off". The display turns off, but there's still a charge going to the LCD which you can see in the silhouette of the number segments. This set of calipers does indeed have some accuracy issues. Mind you, sometimes it works alright, but more times than you might expect the reading doesn't seem right and if you close them back to what should be zero you find that the reading is a bit off. These are alright though. As some others noted they're okay for the price and all in all I do find them useful. Unfortunately this product does not work. You cannot turn it off, so the off/on button is basically useless! The measurements are not accurate and fluctuates wildly, even when not using and after zeroing it. To put it simply, this thing doesn't work. Sorry to hear about the issues with the calipers. Have you contacted techsupport@sparkfun.com about this issue? Based off what you describe, it sounds like you may have received a defective unit, and could be eligible for an exchange - techsupport@sparkfun.com would be able to help determine. Works perfectly and accurate enough for my needs. I've owned it for 5 years but I haven't used it a lot. When I need it it works very well and I've only had to change the battery once. The case is fairly sturdy which is nice for a delicate instrument and my not-so-delicate habits. Having read a few of the negative comments, I would suggest that while they may simply have defective units, I don't experience mine fluctuating wildly. If I zero it pushing the button the way I would normally push the button, it does end up being off by 0.05mm, or 50 micrometers. If I touch the zero button very carefully and lightly, it zeros without this distortion. I presume this is simply due to the plastic material bending. 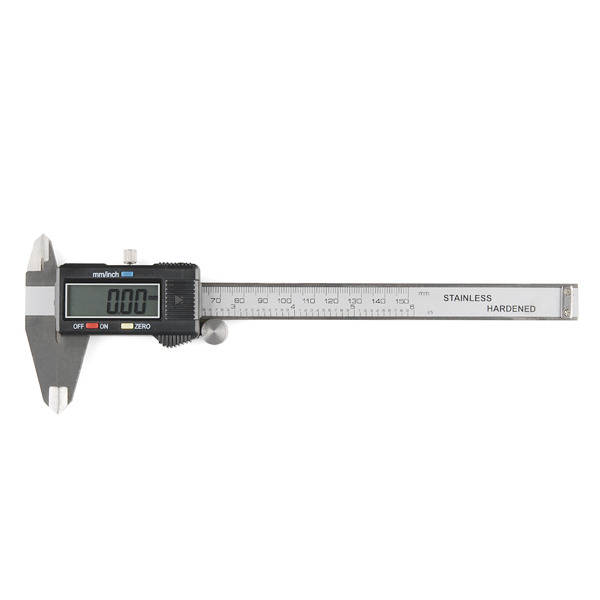 I should add that these types of calipers can never be perfectly accurate and I don't think we have any measuring devices in the world that are perfect, not even LIGO! They are accurate to within a certain precision and that appears to be around 0.01mm. The more you move it up and down the greater it should drift as (presumably) these use something like a laser mouse sensor, which I've worked with before. Seams to be accurate and repeatable. But surface finish was awful. Had to take apart and take off the rough edges. A diamond knife sharpener seamed to be about the right grit. It now slides without it feeling "gritty". I like the plastic case. Still, for 1/10 of the price of a nice one, it will serve my purposes just fine. 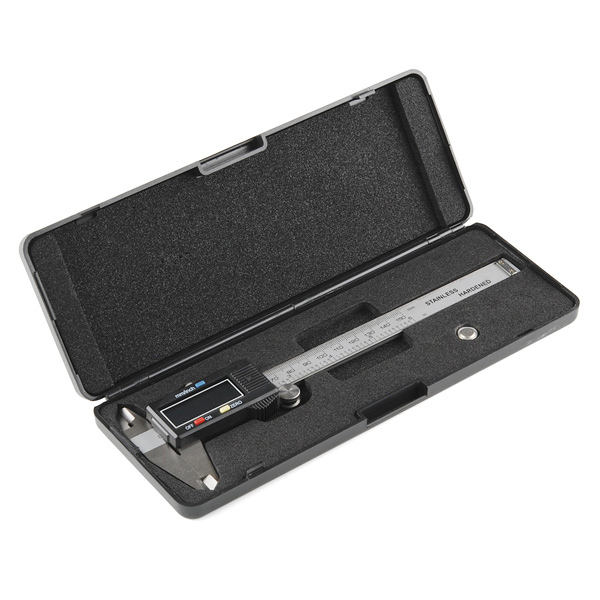 As a little background I'm used to measuring things with Mitutoyo Calipers at work ($200+). The first thing I noticed is that this Calipers don't run as smoothly. I fixed that by adding some oil to the back rail and they still don't run as smooth but way better than before. Accuracy is pretty good, I actually expected less. The only defect I've found so far is that there is some kind of problem with the auto-shut down feature so I have already replaced the first battery with no more than 50 uses. I found a post somewhere on the web where they suggested to add an external switch, maybe I'll try it in the near future. 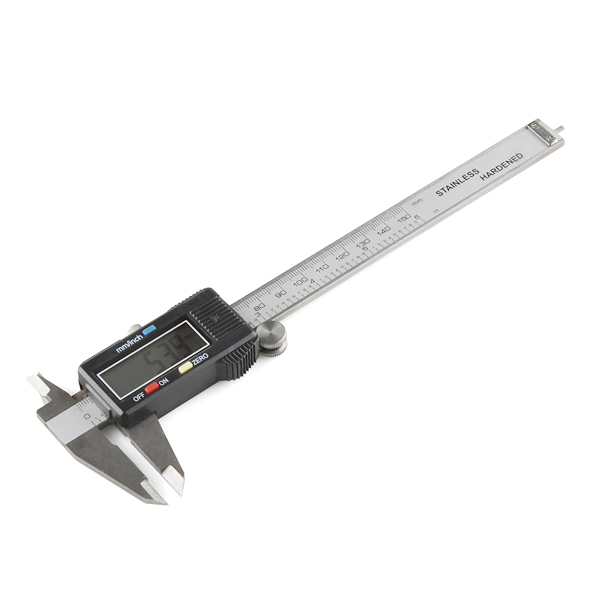 Anyways, for the price this Calipers run they are a great deal if you are not looking for Â±0.01mm accuracy or more! So far, so good. I have checked it against known items and it appears to be accurate. I have used Mitutoyo calipers previously at work. For the price, these are good and better than the plastic one I had before.